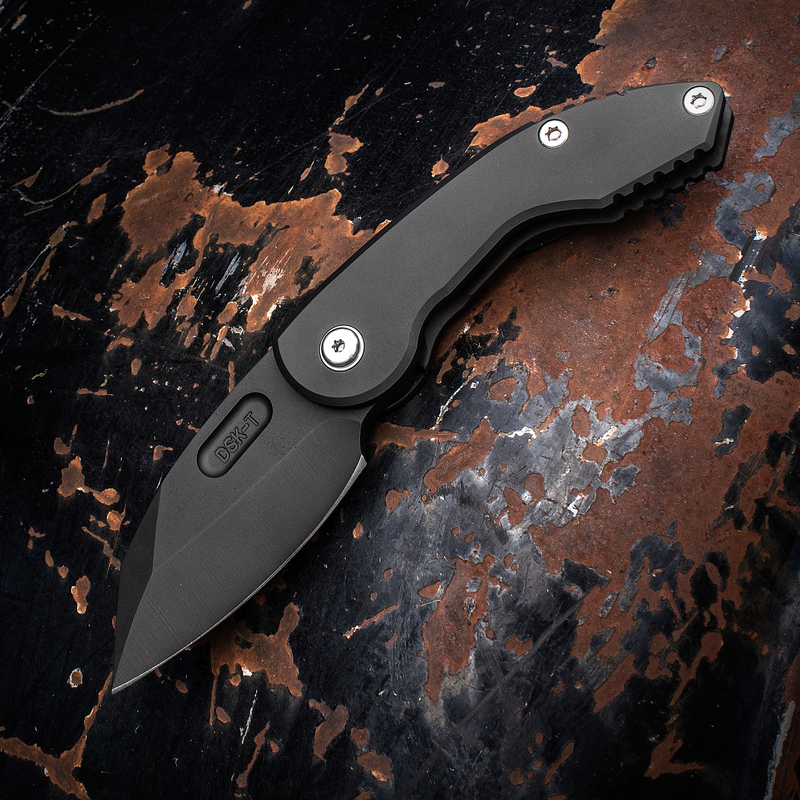 Blacked out and brutal, the DSK Tactical VX is an overbuilt everyday carry folder with distinct tactical style. You don't want to miss out on this individually numbered run of 100 knives. 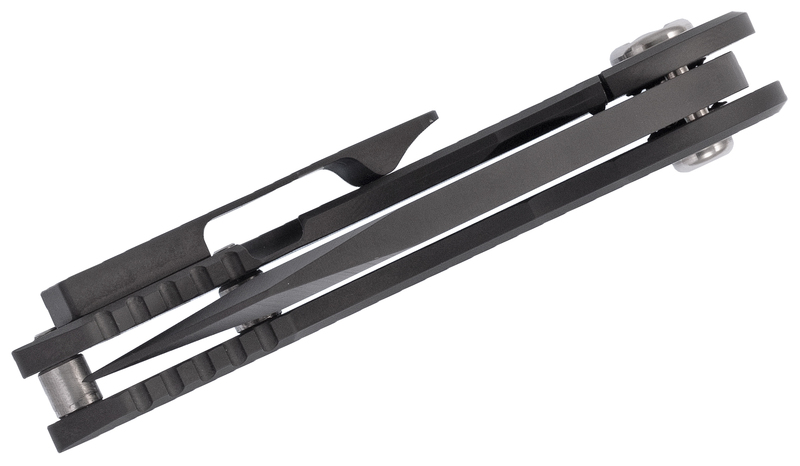 Everything is housed in a PVD-coated pistol grip titanium frame, expertly angled to lock your hand in place and present the point of the blade at the optimum angle for maximum power. 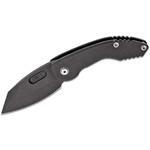 The beefy hand-ground CPM-154 clip point blade takes advantage that angle. With only a slight amount of belly, the blade performs a lot like a Wharncliffe for typical jobs. 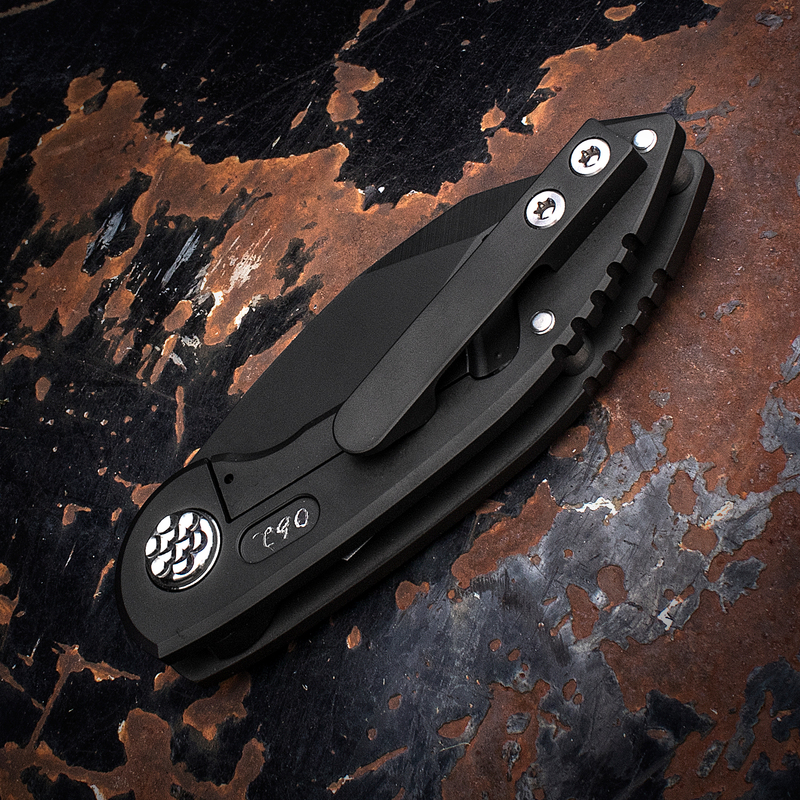 Making the VX easy to carry is a robust milled titanium pocket clip set up for right-hand, tip-up carry. 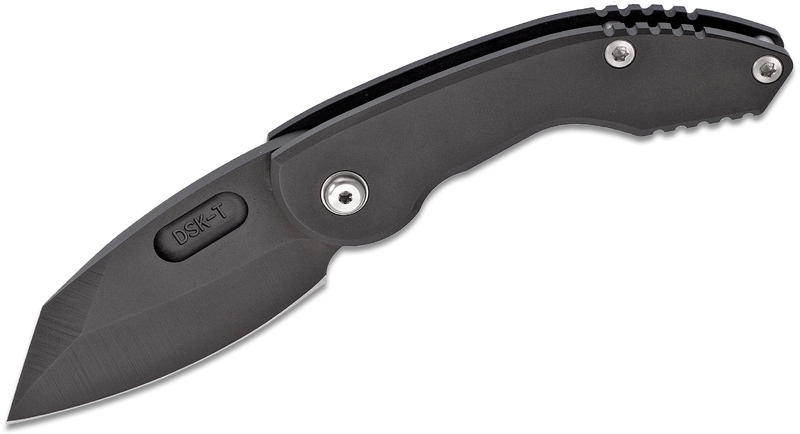 A strong frame lock and oversized stainless steel pivot ensures this folding knife is built to withstand the most demanding tasks and environments. 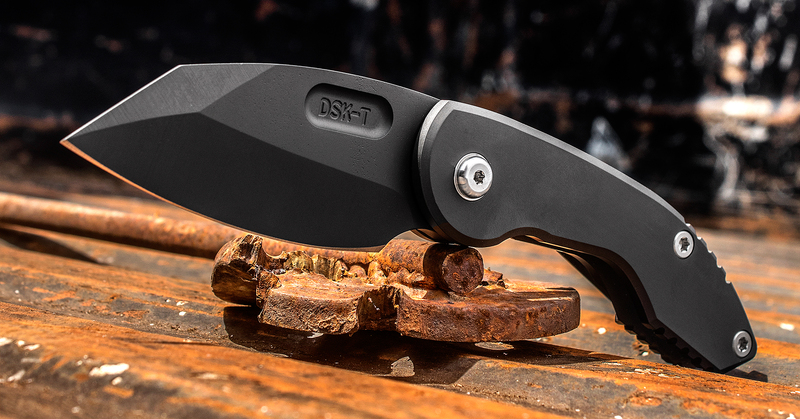 Designed by Dan Sullivan, the DSK Tactical VX is 100% American-made and built to last. 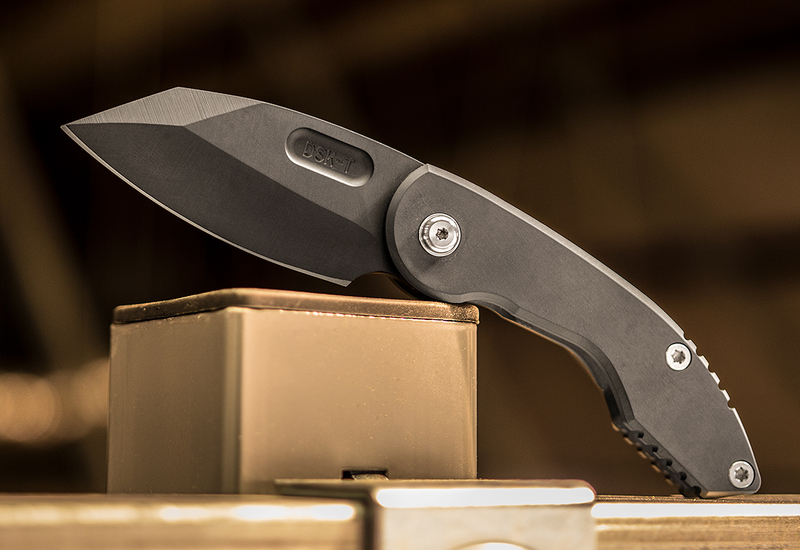 Compact, overbuilt knife with great ergos. 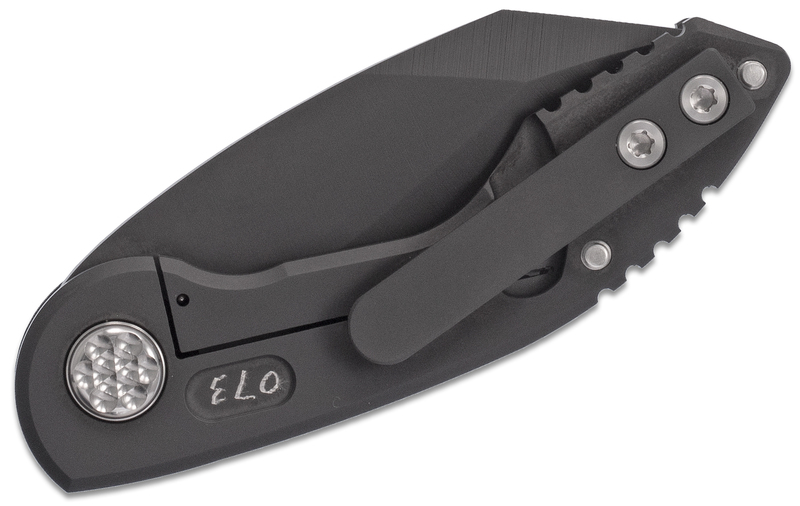 Love the custom pivot, but the engraving of the number on the lock side is absolutely hideous. 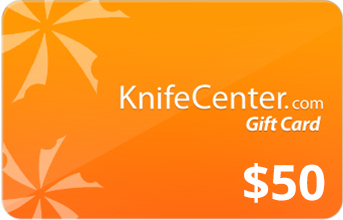 Everything about the knife screams grown man, then it looks like a 4th grader used his new engraver from hobby lobby to number the knives. 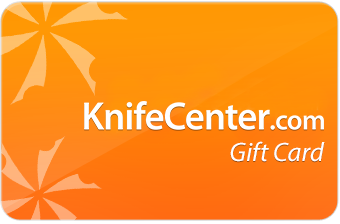 A big detail on an almost 800 dollar knife. 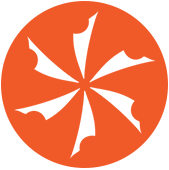 The item is not on our shelf, but we can get it in quickly. 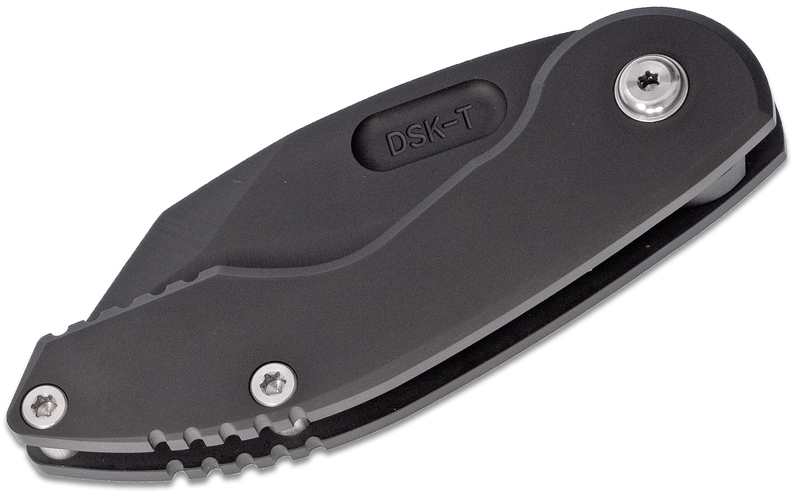 Sometimes we get it the very next day, but typically it will ship out within 2-3 months..
Hey, I wanted to share "DSK Tactical Custom Compact VX Folding Knife 3 inch CPM-154 Black PVD Blade and Milled Titanium Handles" with you from KnifeCenter.